Drones are capable of filming much more than landscapes. Here are some tips to help you capture great cinematic footage and performances. There are tons of drone videos online, but many of these suffer from the same problems… shaky shots or excessive fisheye footage. Here are some tips to get much more cinematic footage out of your drone. The average consumer drone battery life is around 13-18 minutes. By the time you go airborne and check your camera settings, you may already be down to 10 minutes of actual flight time. It’s really important to plan your shots before taking off. Know your starting point, and where your next waypoint is. If there are actors in the scene, be sure to go over the shot in detail. Let them know exactly where they need to be and when. If you are planning a very complex shoot, be sure to have plenty of extra batteries and a charging station handy. Check out this video from Shutterstock. Notice how they plan shots ahead of time and also explain everything to their model. They also have some other great tips to help you achieve the best shots. While a majority of the public thinks every drone uses a GoPro, this couldn’t be further from the truth. Nearly every quadcopter manufacturer has added their own camera or given you the ability to add your own to customize your drone’s camera. 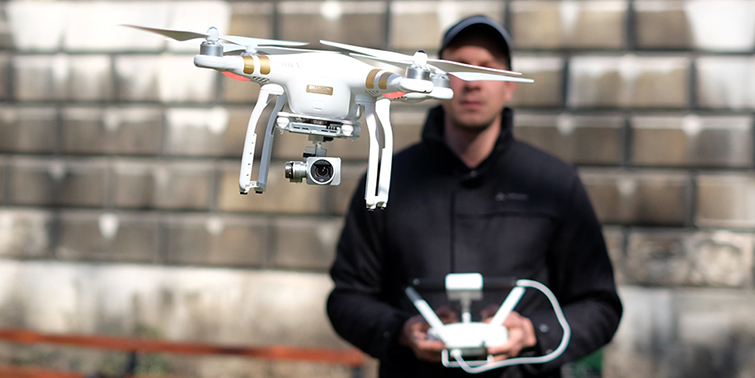 Depending on the type of drone, you may have an array of cameras to choose from. DJI offers the Zenmuse Gimbal for a dozen different cameras. 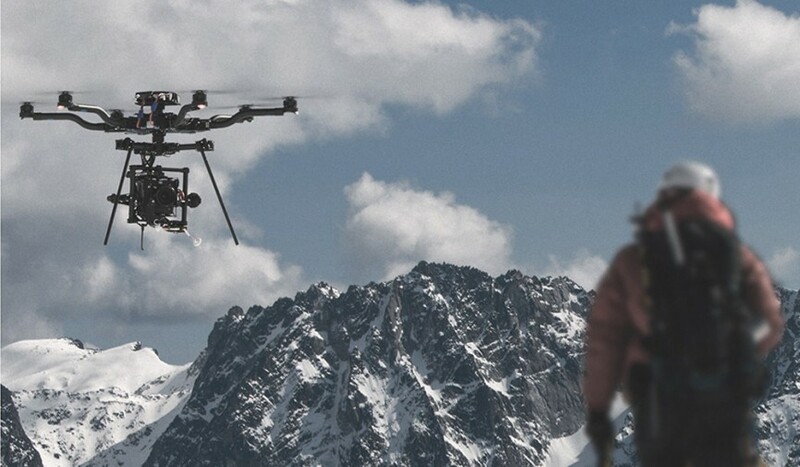 With the FreeFly Alta, you can add a 15 lb camera to the top or bottom of the drone. Just remember: the lighter the better. With more weight, your battery life won’t last nearly as long. Now that drones have become much more agile and precise in their movements, pilots tend to move the aircraft very quickly. Though it can create some cool shots, overall it’s best to take your time while in the air. Subtle movements will playback more powerfully among audience members. Too much movement and speed will also give you very shaky footage. While this isn’t an option for every shot, shooting in reverse can help you capture shots much faster. This is great when you are running low on battery. If you are focusing on a specific building or location, start up close to the object, then move away. Not only is it easier to reverse the footage in post, it’s a lot safer than flying up close to a person or crashing into the building. 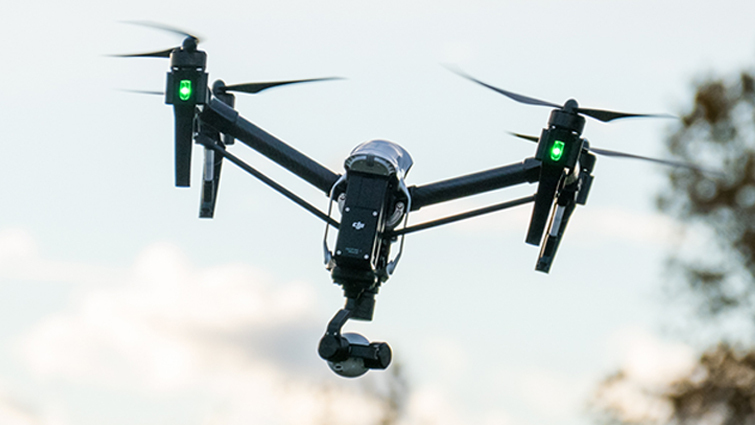 While many of these drones are designed for one person to fly and shoot, having a designated pilot and a cameraman will make a shoot much smoother. Each can focus on their own specific tasks. In my personal experience, having a cameraman operate while I pilot not only helps us shoot faster, but we can also collaborate and come up with better shots. I may notice a specific path I can follow, or the cameraman may take note of a great shot they are getting in the viewfinder.